The imperative mood of this playful selection refers to the text's lighthearted commanding of various springtime occurrences to take place in the country. With piano. Parts for clarinet and bassoon add a bright accompaniment. 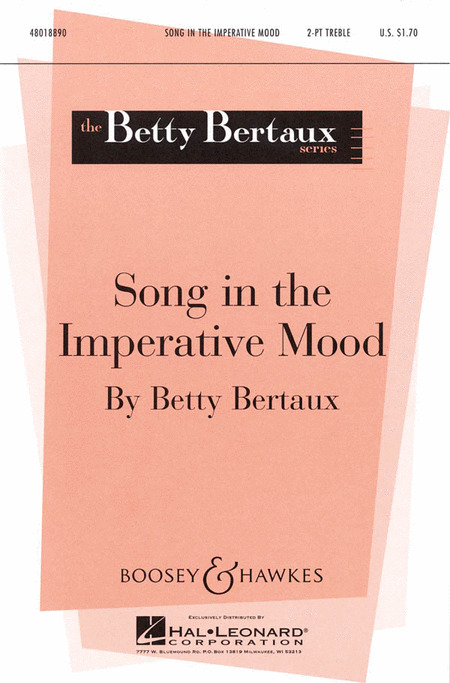 Recorded by Children's Chorus of Maryland, Betty Bertaux, Director.